Several of the buildings that anchor the 4th Street Business District date to the town’s incorporation date of 1874. 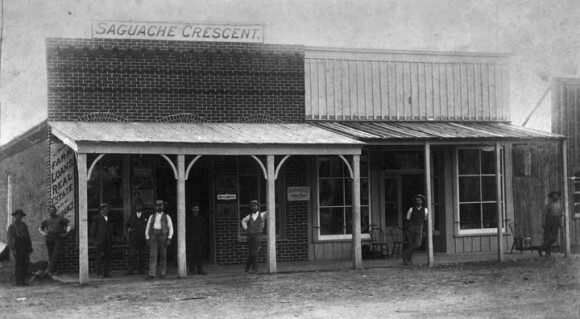 Serving as the trade and business center for much of the historic San Luis Valley, Saguache represents both in history and in architectural detail an example of an early Colorado frontier town. 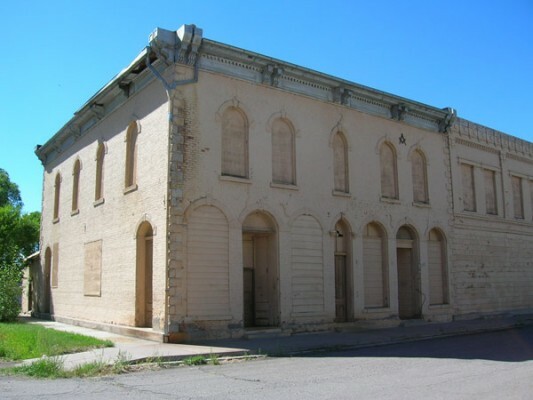 The building stock of this district includes two banks, a newspaper office which operates the last “hot metal press” in Colorado, a hotel, two mercantiles, a mercantile warehouse, a saloon, a theater, and the County Courthouse. A striking feature of these buildings is the variety of architectural styles that are used, including Italianate, Classical Revival, Nineteenth Century Commercial, and Twentieth Century Commercial influences. Due to a slow continual economic decline, some of these businesses have had to board up many of the rooms and floors in the buildings that they occupy. In addition, a handful of the buildings have been abandoned, neglected and have begun to decay. There are severe structural issues with many of the sites including facades that are crumbling, brickwork that is falling off, and windows that are broken or damaged. Additionally, several of the “Main Street” businesses have been converted into residences, further threatening the economic development aspects of the 4th Street Business District. Saguache is the poorest county in Colorado, and for many years now there have been only a handful of viable businesses on 4th Street. 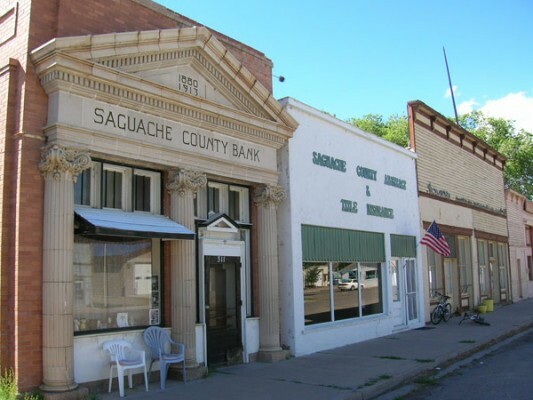 Colorado Preservation, Inc. has been working closely with the Saguache County Sustainable Environment and Economic Development (ScSEED) Board in order to complete an architectural inventory survey that will be utilized to determine National Register eligibility for downtown Saguache. Additionally, the Ute Theater, which was shuttered in 2005, reopened in June after new owners completed substantial renovation work that included ADA compliance while retaining historic features such as the straw-stuffed seats and a 1947 Manley popcorn machine. In 2012, additional survey forms for the town were completed, including identifying several buildings that were omitted in the previous survey. A National Register of Historic Places District nomination for 4th Street was prepared and the Saguache Downtown Historic District was listed in July 2014. The site has seen considerable improvement since it was listed in 2009. The town recently acquired the Dunn Block building. The site needs a preservation minded buyer for the historic hotel and opening of the Elks Hall.